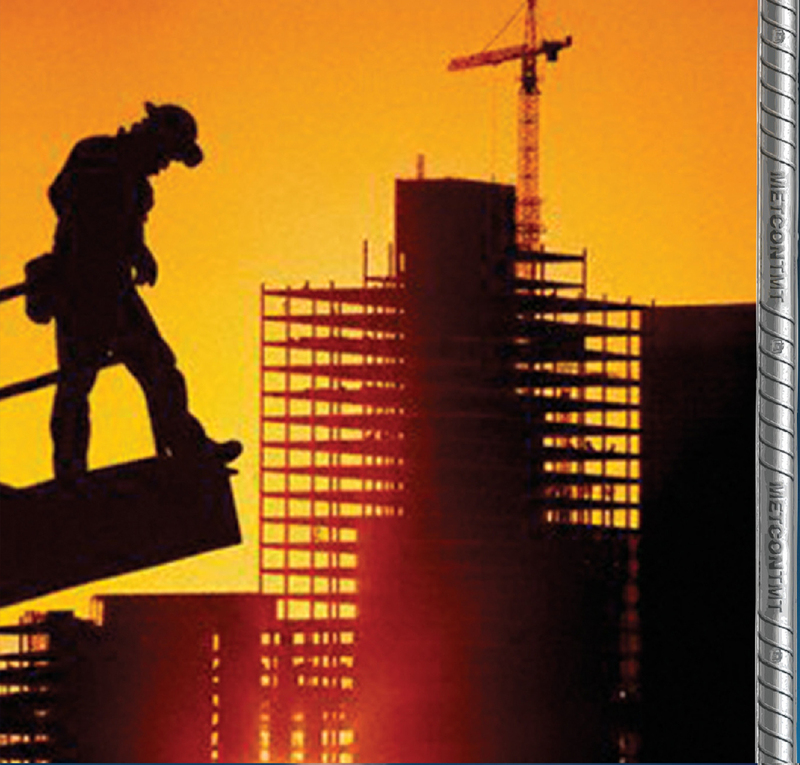 Steel bars form just 4% of your construction cost. But once built, they can’t easily be replaced. 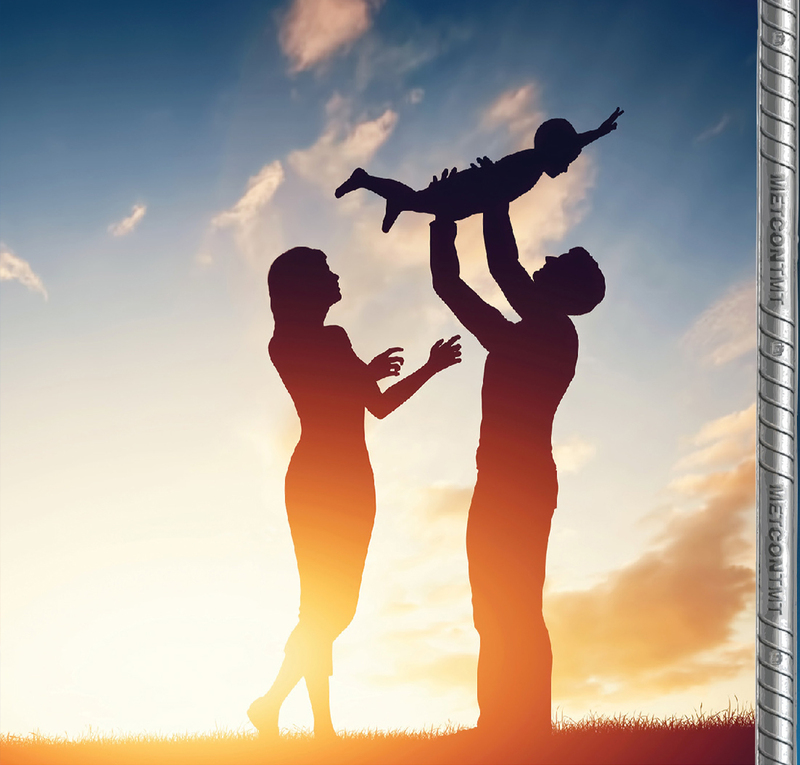 So ensure the best strength for your home and a brighter future for your family, with the right TMT steel. After the multi-stage thermo mechanical treatment, the hot-rolled steel bars are cut by cold shears and water quenched. The water quenching results in the formation of a hardened outer layer (Tempered Martensite) and ductile inner core (Ferrite Pearlite). These distinctly formed layers impart corrosion resistance, unmatched tensile strength and excellent ductility to METCON TMT Steel. 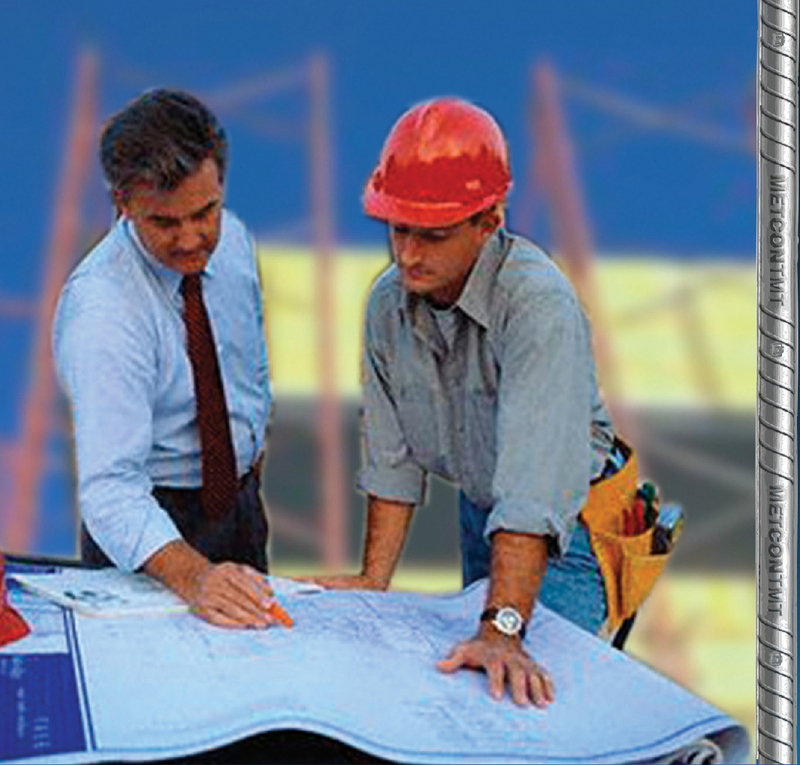 Foundations, columns and beams require steel that meets specific strength and ductility. As per BIS standards, steel that meets specific strength and ductility. As per BIS standards, steel for the above purposes should have a yield strength of 415N/mm2 (min) and ultimate tensile strength of 485/mm2 (min). Note that Metcon TME has an average yield strength above 430 N/mm2 and ultimate tensile strength above 500N/mm2 (min). A customer’s limitations to verify the quality of steel has been overcome by our trustworthy certifications and our expansive network of 200 loyal dealers across Kerala. 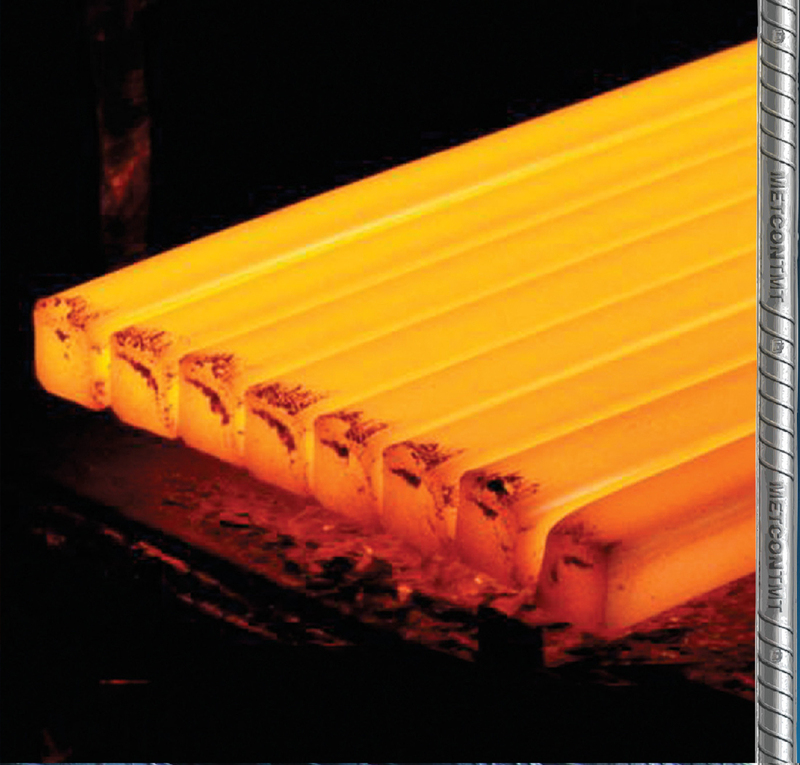 Each TMT steel bar carries the Metcon ISI TMT mark in every meter of its length. Every bundle is denoted by batch numbers and accurate diameter information. The TMT Fe 415 grade is marked by Orange color at its ends. 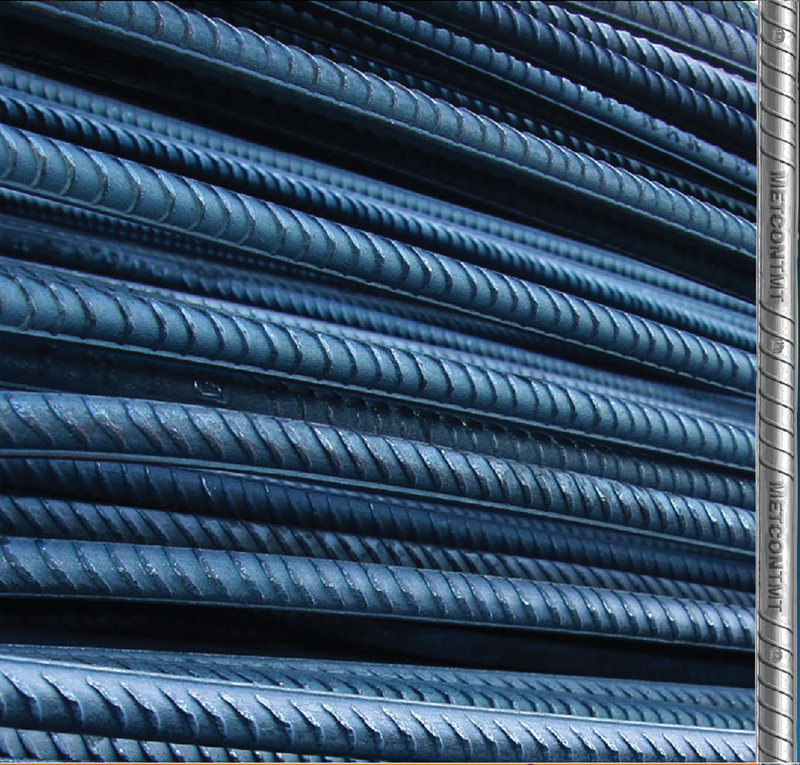 Since Metcon TMT steel bars have a uniform layer structure, they also possess uniform thickness in every meter of its length. Hence the buyer gets optimum amount of steel in every meter of Metcon TMT steel. 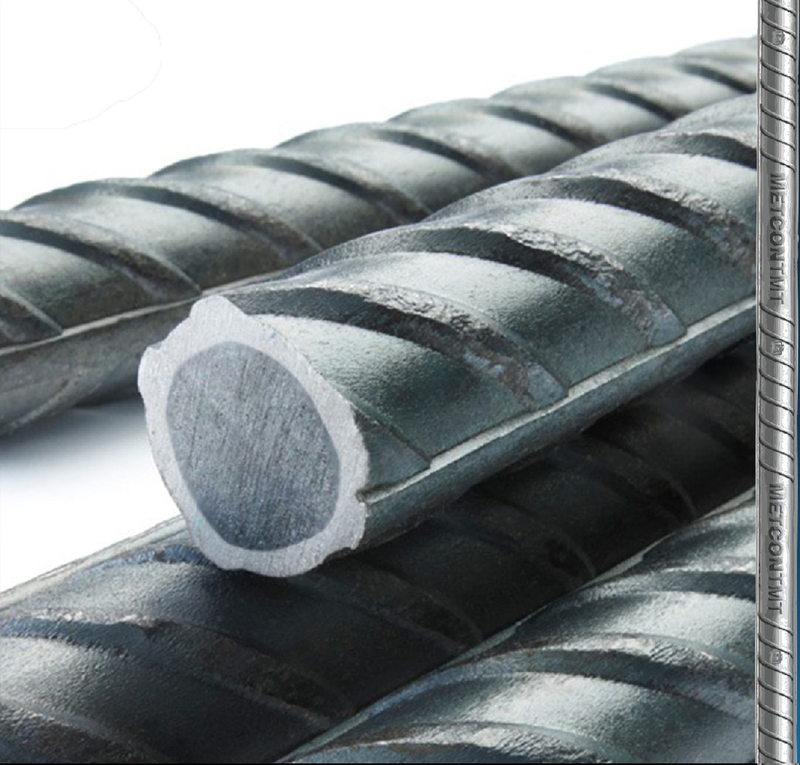 Inferior steel bars with varying thicknesses would result in the buyer shelling out more money when buying his required quantity of steel. (Remember, steel is priced according to its weight) in other words, the buyer of Metcon TMT steel would enjoy more savings in steel. Metcon has always nurtured honesty at the heart of its growth and existence. Ever since 2003, when a team of engineers joined forces to make a true change in the quality of steel, Kerala has warmed up to Metcon Steel. Unique layer formation*, great tensile strength, excellent ductility and unmatched corrosion resistance make it the first choice of architects, masons and homemakers.